As hard as I try, I can’t remember the exact moment that I was introduced to sports. I just know that it has always been a part of my life like the air I breathe. My viewing ranged from basketball, football, baseball, tennis, gymnastics, and swimming, but my love of football and basketball reigns supreme. When I am not watching, writing, talking or thinking about sports, I love to eat! I am a self-professed foodie and I love to try new restaurants and cuisines. I also love listening to music, dancing, traveling, and bowling. Tiger's great! Tiger Woods wins!!! Tiger won the Tour Championship, his first championship in five years. Woods led the tour on Sunday from start to finish at East Lake Golf Club in Atlanta. "I can't believe I pulled this off," Woods said during the trophy presentation. This is Woods’ 80th career PGA win. This win puts Woods two short of the career record held by Sam Snead. For Woods, it must seem like forever since his last victory in 2013 at the Bridgestone Invitational at Firestone Country Club in Akron, Ohio. Gisele's Revelation: Will The NFL Do More Regarding Concussions? VIDEO: Did the Patriots cover up Tom Brady’s concussions? Could the NFL find more cases like this? During an interview with CBS This Morning, Gisele Bundchen, wife of New England Patriots quarterback Tom Brady, stated that her husband has suffered concussions over the years as recently as 2016. Eyebrows were raised after this declaration because Tom Brady was never listed on any of the injury reports as having any type of head trauma. The NFL confirmed that it did not have a concussion report from the New England Patriots regarding Tom Brady and it planned to contact the Players Association to collect more information. Never one to shy away from controversy, LaVar Ball, father of NBA prospect Lonzo Ball, once again finds himself in the middle of a media firestorm after an appearance on The Herd with Colin Cowherd. During the interview, Ball refused to speak to Cowherd's cohost Kristine Leahy except to tell her to stay in her lane and to reiterate that he would only address Colin Cowherd. Leahy has since gone on record to state that she has received death threats as a result of the on-air altercation. March 28, 2017, marked the third of four meetings this season between the Brooklyn Nets and the Philadelphia 76ers. Thus far, Philadelphia has gotten the better of the series by holding the Nets winless, 0-2. 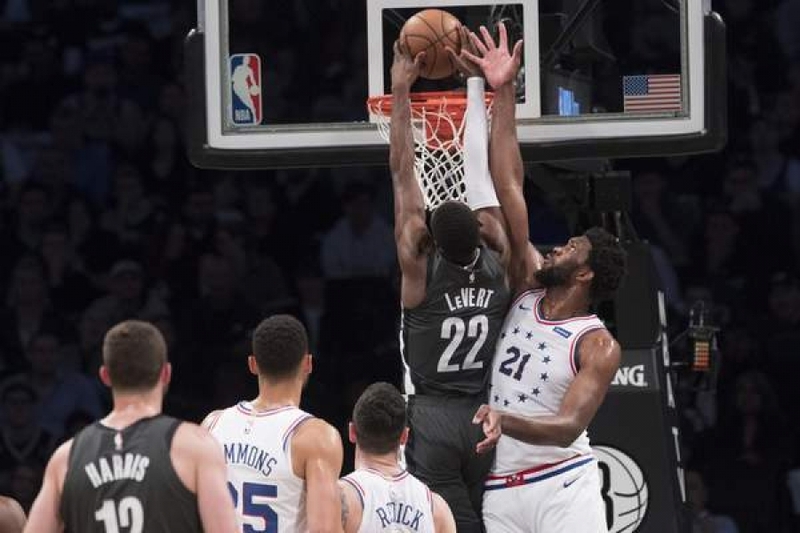 Brooklyn, having success in the month of March, is looking to continue their winning ways and notch their first win of the season against the 76ers. Nets shooting guard Sean Kilpatrick, who was out due to an injury, did return to the lineup tonight. Philadelphia has been bitten by the injury bug and travels to the Barclays Center with a significant portion of their roster unavailable to play. The Nets offense has improved recently with the emphasis shifting to feeding Brook Lopez in the paint as the primary option as opposed to settling for shots beyond the arc. Lopez scored eight of the team’s first 13 points to start the game. The Nets struggled with fighting through 76ers’ screens and defending the three-point line. After a hot start, Philly’s shooting beyond the arc cooled otherwise it could have spelled big trouble for Brooklyn. 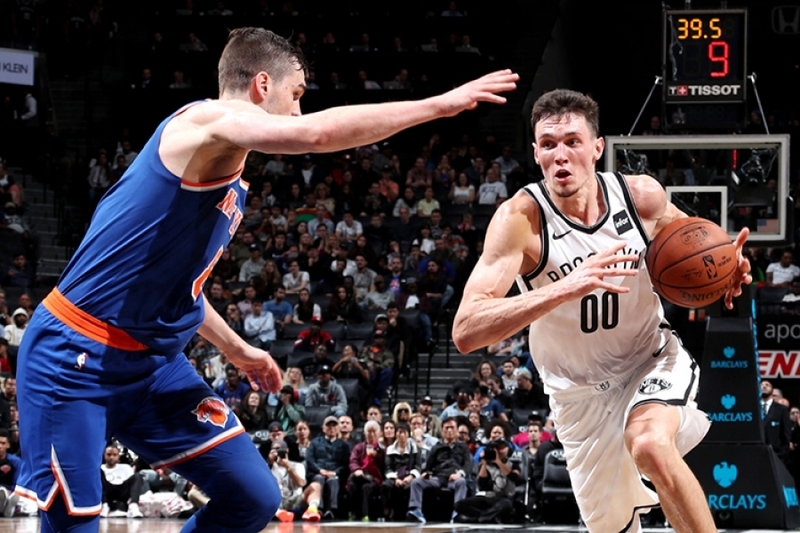 Despite their early struggles, the Nets battled in the second quarter to overcome a seven-point deficit and tied the game with two minutes left in the half. The second half of the game was a back and forth battle between the two teams. The pace of the game quickened and the Nets trailed by one point entering the last quarter of the game. Brooklyn had difficulty finishing at the basket but, victory was still within their reach. With just under 2:30 left in the game, a three-point basket by Isaiah Whitehead gave Brooklyn the lead. The crowd was alive, but unfortunately, the elation would be short-lived. Brooklyn went scoreless for the remainder of the game and fell to the 76ers, 106-101. It wasn’t a particularly good shooting day for the hometown team. At this point in the season, fatigue may come into question. Spring has officially begun and the change of seasons can usher in new beginnings. 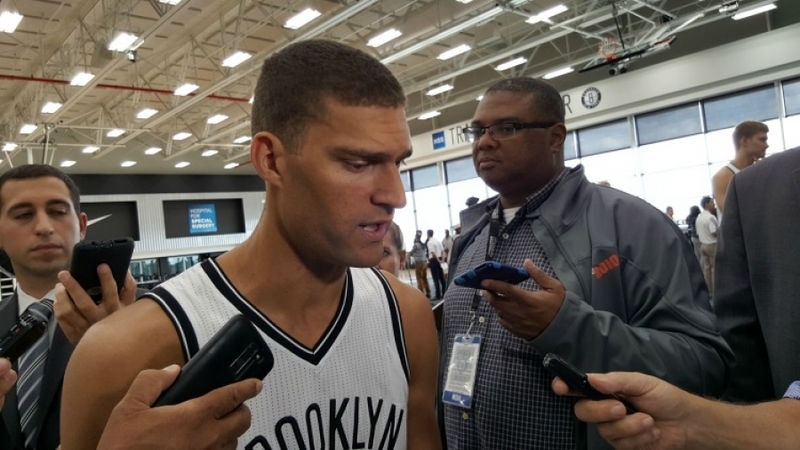 For the Brooklyn Nets, a game against the Phoenix Suns could mark a first for the Nets. A win would mark the first time that Brooklyn won two consecutive games this season. On the flip side, Phoenix was looking to end a five-game losing streak. Brooklyn fell behind by double digits to the start the game, scoring only two points in the first four minutes. After the scoring drought was broken by Caris LeVert, the Nets offense showed signs of change but the team still struggled from the field. When the quarter ended, the Nets shot 36% from the field and 20% from three-point range. Brooklyn trailed Phoenix 32-22. When the second quarter began, rookie Isaiah Whitehead helped cut into the Suns lead by scoring quick eight points coming off the bench. As the game progressed in the first half, the Nets offense became more fluid. Their collective shooting hands got warmer and they pushed the tempo of the game often creating easy scoring opportunities for themselves. With just under nine minutes left in the half, Trevor Booker gave the Nets the lead, one they carried into the second-half of the game. The second-half saw the Brooklyn Nets build upon the momentum created in the first. Nets guards continued to penetrate the Suns defense which either resulted in a trip to the free-throw line or a bucket. Brooklyn played like a well-oiled machine and didn’t show any signs of a collapse. At one point, Brooklyn had a 33-point lead over Phoenix which matched their largest of the season. The Nets’ bench once again proved to be instrumental in the success of the team, outscoring their counterpart 81-22. One of the sparkplugs off the bench, Archie Goodwin, scored 10 points which is the first time he has scored double digits in consecutive games this season. When the final buzzer sounded, the Nets secured the victory winning 126-98. They are now headed to the nation’s capital to take on the Washington Wizards. The New York City area was hit with some snow yesterday, but there was also a presence of thunder, the Oklahoma City Thunder. Smartly, Russell Westbrook and his team came to town ahead of the snowstorm to take on the Brooklyn Nets. Even though the weather was less than ideal, fans filed into the stadium to give the Nets a boost. So, how would the hometown team handle the walking triple-double Westbrook and his comrades? The fans were treated to a healthy dose of Linsanity right from the start as Jeremy Lin used his quickness and ball handling skills to blow by his defender going into the paint either for the score or pass to an open teammate. The Oklahoma City Thunder quickly pushed the ball up the court after Nets’ misses and Brooklyn struggled at times with their transition defense giving the Thunder easy baskets. The game was back and forth for the first half. Oklahoma City enjoyed a ten-point cushion in the second quarter but it was cut in half after buckets by Lin and Brook Lopez. The Nets battled, erased the deficit and the game was tied at 62 at the end of the half. At the start of the third quarter, the Nets’ shooting started matching the weather outside, cold. The Thunder took advantage of Brooklyn’s shooting woes jumping to a double-digit lead. Once the Thunder gained the lead, they never relinquished it. With a little less than five minutes left in the game, the crowd roared. The irony was the cheers weren’t for the Nets but rather for Westbrook who continued his historic run by recording his 33rd triple-double of the season. Nope. Brooklynites know good basketball and basketball fans showed their appreciation for what they were witnessing up-close and personal. Nets rookie Caris Levert had one of his best games of the season notching 16 points, five rebounds, two assists and a career-high-tying three steals (done twice previously) in 23 minutes against OKC. Lopez and Lin scored 25 and 24 points respectively. After strong performances over the past few games, the bench fell short during the contest by scoring a total of 20 points. ‘Twas their last game before the NBA All-Star break and fans were flowing into the Barclays Center to watch the Brooklyn Nets host the Milwaukee Bucks. It has been a rough season for the Nets who entered the contest looking to break a 13-game losing streak and avoid a series sweep with the Bucks for the season. 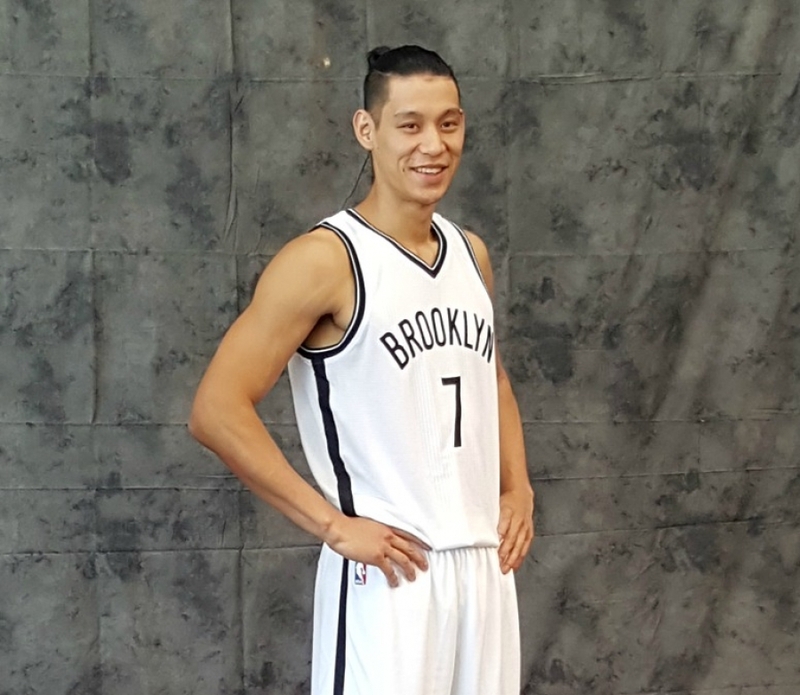 Nets point guard Jeremy Lin was on the sideline again with a hamstring injury but it is believed that Lin will return to action after the All-Star break. 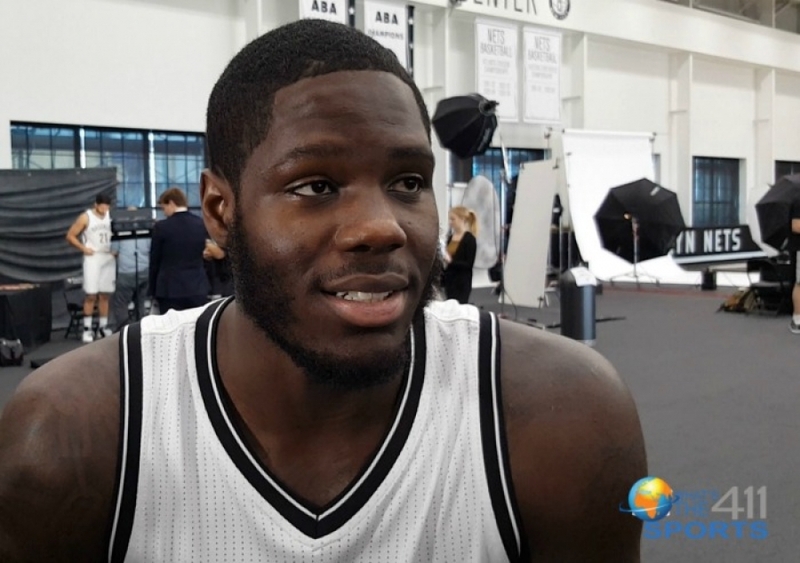 Quincy Acy was also listed as inactive for the Nets. On a positive note, Brooklyn power forward Trevor Booker was listed as questionable prior to the game but did suit up to take the court. While the Bucks would be without their power forward Jabari Parker, they did have the man affectionately known as the “Greek Freak”, Giannis Antetokounmpo. Limiting the offensive power of Antetokounmpo would be a tall order but one that Rondae Hollis-Jefferson was capable of fulfilling. After winning the opening tip-off, the Nets exploited the Bucks’ inability at defending the three-point line as center Brook Lopez hit his first two three-point attempts helping Brooklyn jump to an early 11-5 lead. In the first quarter, Brooklyn only committed two turnovers. The Nets’ inability to take care of the ball has plagued them this season. Even though they were able to reduce their turnovers, the Nets were ineffective at defending the pick and roll leading to Milwaukee points in the paint. At the end of the quarter, Brooklyn trailed by six points. Milwaukee built on their lead in the second quarter but the offensive spark provided by Booker off the bench kept the game within reach for the Nets. Lopez continued his excellent play which brought Brooklyn within two points at the half. 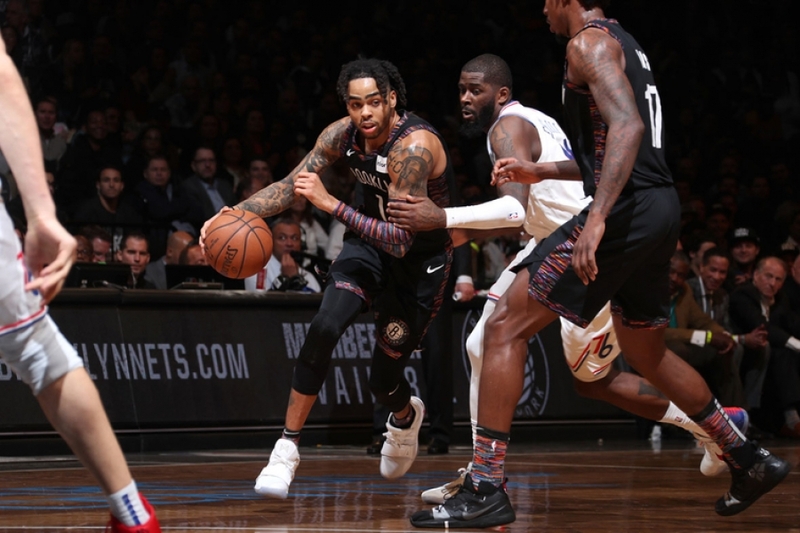 The start of the third quarter was difficult for the Nets as their offense went cold and further hampered by the amount of turnovers committed by the Nets. In his postgame conference, Nets coach Kenny Atkinson acknowledged the issue and the possible causes of the turnovers. 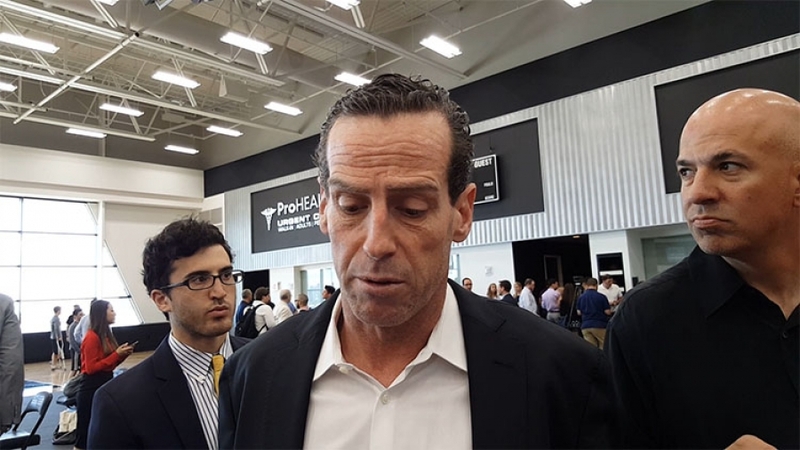 Even though the season has not been stellar in terms of wins and losses, one thing that has remained consistent and positive for Brooklyn has been their competitive spirit. 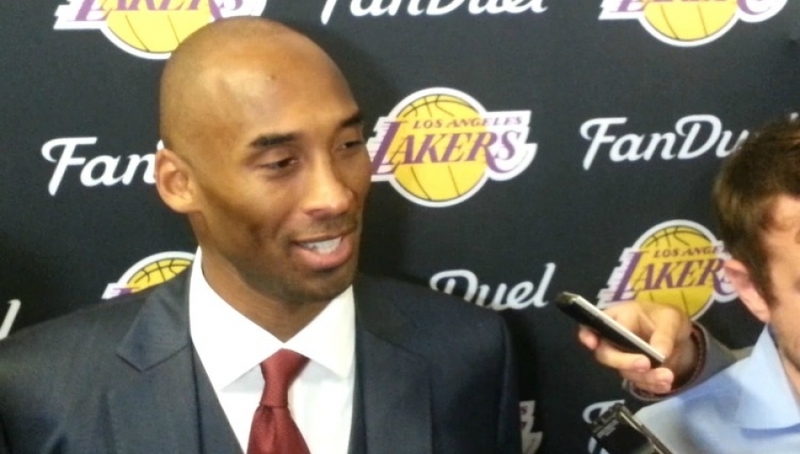 On Wednesday, December 14, 2016, the Brooklyn Nets hosted the Los Angeles Lakers at the Barclays Center. Both teams entered the contest looking for a win to stop their respective losing streaks. 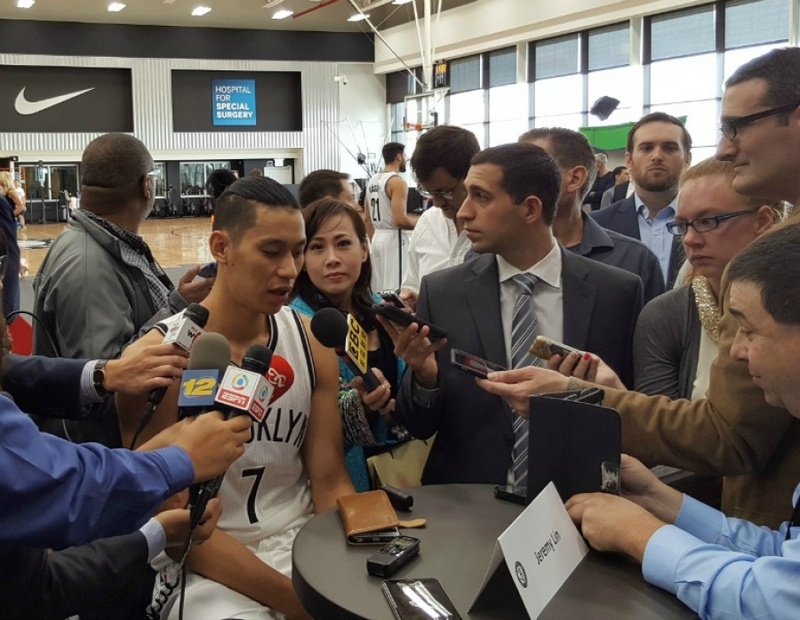 Although Nets point guard Jeremy Lin returned to the lineup for the first time in 17 games two days prior in Houston, Nets fans would not see Lin as he was inactive due to tightness in his lower back. 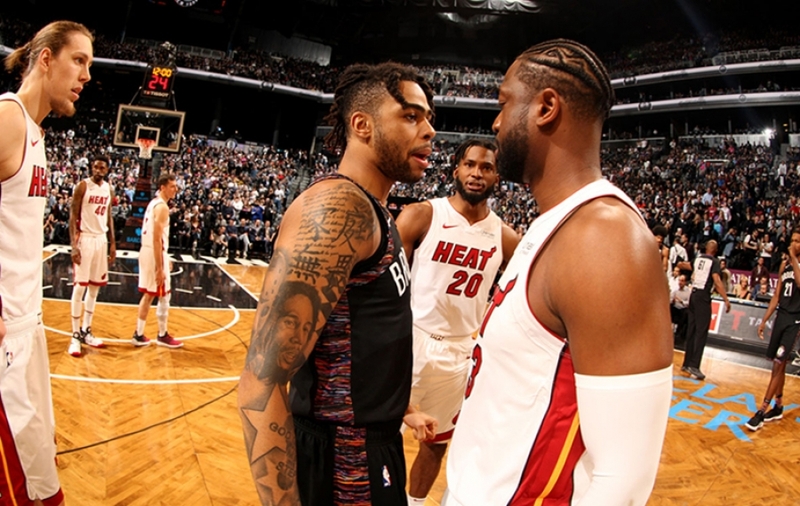 The first quarter of the game was tight between the two teams and despite the Nets shooting 32% from the field, they found themselves only trailing by three points due to their dominance at the free throw line. The Lakers cooled off in the second quarter and Brooklyn capitalized by outscoring Los Angeles 25-13 ending the half with a nine-point lead (52-43). As the third quarter began, Brooklyn’s offense was out of sync due to failing to secure the ball, committing turnovers in their first possessions of the half. The turnovers led to fast break points for the Lakers. After a timeout called by coach Kenny Atkinson, the Nets had better ball movement on offense but it didn’t prevent the Lakers from outscoring the Nets by ten in the quarter which included a spectacular dunk by Larry Nance, Jr. The Nets found themselves trailing by one at the start of the fourth quarter (76-75). The Nets’ performance late in games has been a concern this season but on this night, the team rallied to take the lead. Once the Nets had the lead, they never relinquished it and kept the Lakers scoreless in the last six minutes of the game; ending it with a 10-point spread, the Nets 107 and the Lakers 97. Scoring 20 or more points for Brooklyn were Bojan Bogdanovic (23), Brook Lopez (20) and Sean Kilpatrick (22), and Joe Harris, the only other Nets player scoring in double digits, chipped in 11 points. Nets power forward Trevor Booker added an impressive 18 rebounds in the winning effort. There was no California sunshine in Brooklyn on November 29th when Los Angeles Clippers came to town. Although the weather outside was dreary, fans ventured out in the elements to celebrate Barbados Culture Night and to cheer on the Brooklyn Nets as they took on one of the powerhouses in the Western Conference, the Los Angeles Clippers. Both teams entered the game looking to end their respective losing streaks, both looking for a spark to create a turnaround. The start of the game wasn’t stellar for the Nets as they were held scoreless in the opening minutes of the game. Even though the Clippers shot 55% from the floor in the first quarter, the Nets were within striking distance trailing the Clippers by four points going into the second quarter. Brooklyn continued to trail the Los Angeles for the next two quarters, while the Clippers extended their lead to 18 points. Would this be a repeat of the rout the Nets experienced at the hands of this team earlier in the month at the Staples Center? Perhaps that prospect was too much for the home team. Perhaps it was the scrappy never give up attitude that resides in the Brooklyn locker room. Whatever the reason, the fourth quarter saw a shift in momentum in favor of the Nets. Nets defense clamped down and a bucket by Sean Kilpatrick kicked the Nets offense into high gear. It wouldn’t be the last time an attendee heard “SSSSS K, Sean Kilpatrick” over the PA system after a made basket because Kilpatrick rattled off 20 points in the fourth quarter. Nets center Brook Lopez contributed to the run and gave the Nets a three-point lead with little over one minute left in regulation. The never-give-up attitude wasn’t in short supply as Clippers point guard Chris Paul sank a game-tying three-pointer with 1.8 seconds left in the game. Sean Kilpatrick launched a potential game-winning shot for the Nets but it rattled off the rim sending the game into overtime. The electricity in the Barclays Center was thick, the fans were charged and chants of “BROOOKLYNN!” filled the arena. The start of overtime saw the hot hand of Lopez give the Nets the lead and the Clippers fired back courtesy of DeAndre Jordan. Sean Kilpatrick was able to slice through the Clippers defense at will. The night took an interesting turn when Clippers head coach Doc Rivers was assessed a technical foul which sent him into a rage, requiring his staff and players to restrain him and he was gifted with a second technical foul resulting in ejection. With an early exit for Doc, his team was forced to sojourn without him. Missed free throws by Isaiah Whitehead left the door open for the Clippers to tie the score and Jamal Crawford did just that.